Paddles By The Sea started in 2014 as a mobile outfitter, traveling from West Palm to Vero Beach. At first we only offered guided paddle board lessons and tours. That first year was far more successful than I thought it would be, and so much fun. So, I decided we needed a Paddles location. In 2015 we opened our River location in the marina at Riverside Cafe. With this new location we were able to start offering kayaks and rentals, as well as our normal paddle board tours. 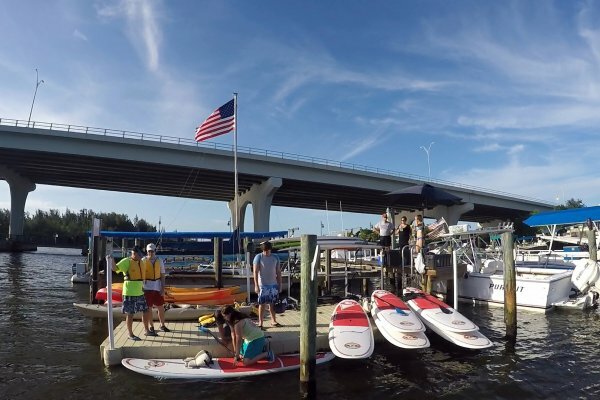 We were the first paddle board and kayak business in Vero Beach to have their own launch site. Before we opened you had to make an appointment for a drop-off at a local park, then wait for a pick up after. Not anymore! Now you can show up at our Riverside location, go for a paddle, and we’ll be waiting to help when you get back. In 2016 we expanded to our first beach location at the Kimpton Vero Beach Hotel & Spa. Almost forgot how much fun the beach is. 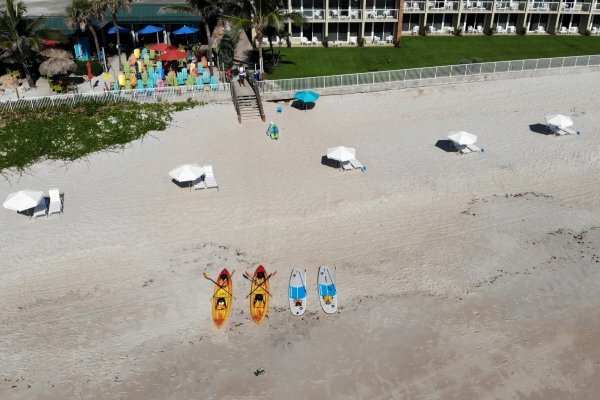 At the Vero Beach Hotel we started out offering paddle boards, kayaks and boogie boards. Now we also take care of their beach cabanas. In 2018 we expanded to the Holiday Inn & Suites Oceanside Vero Beach. 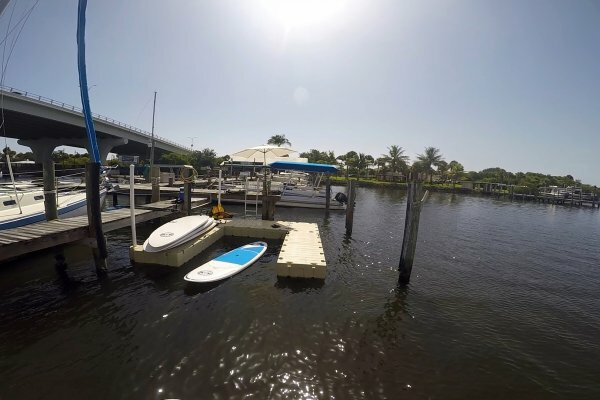 At this location we offer our usual paddle boards, kayaks and boogie boards, plus we now offer lounge chairs and umbrellas, and t-shirts, sunscreen and all kinds of other beach related merchandise. Our mission is to make kayaking and paddle boarding your new favorite thing. If you finish your paddle and say or think “that was so cool! Let’s do that again soon!”. Or, “let’s go to (insert water near your home) the lake and paddle more when we get home”, we did our job correctly. We want you to enjoy your adventure with us so much that it comes part of your lifestyle. That’s why all instructors are ACA (American Canoe Association) certified, we also offer comprehensive lessons with every rental. We even go as far as to ask guests if they’ve ever had a lesson. At one point we would ask if they’ve ever paddle boarded or kayaked. Most often people would say yes. Wonderful! Soon after launching (without our lesson) we would notice simple, but important technique issues: Paddle backwards, difficult standing up, difficulty maneuvering, stance that makes the board feel tippy. Simple stuff that even the most basic of lesson would correct and make the experience so much better, and easier. Now we ask if our guests have ever had a lesson. And you’re getting one if you say “no”. This simple step is actually what made me want to start Paddles By The Sea. Wanted to create an experience that showed people that paddle boarding and kayak is not hard. With the right guidance its actually very easy. So, every rental gets a lesson.